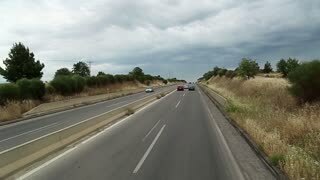 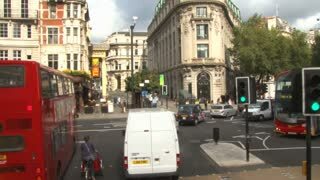 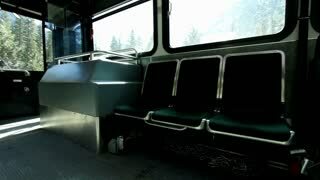 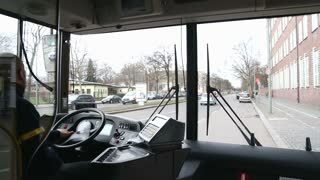 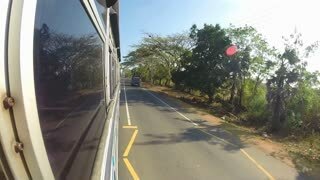 Timelapse view of a landscape from a moving bus. 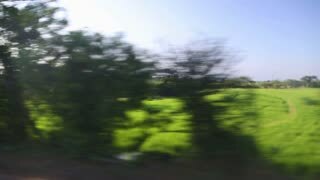 View of fields from a moving bus in Sri Lanka. 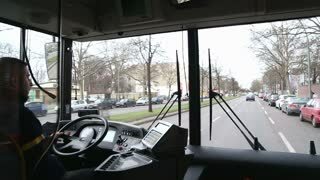 BERLIN, GERMANY - 28 JANUARY 2015: View from inside of a moving bus with driver and Berlin traffic on the way to Tegel airport.